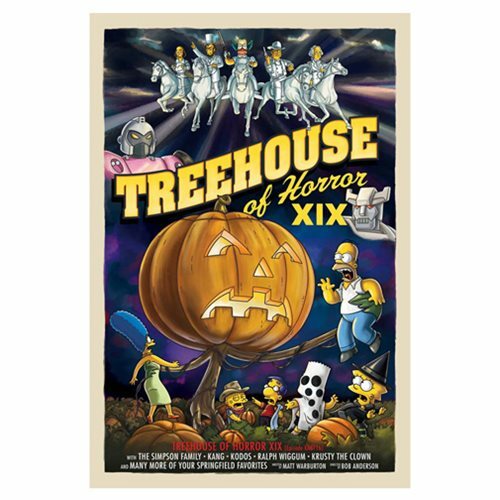 Inspired by the Season 20 episode, "Treehouse of Horror XIX" and designed by Simpsons artist Julius Preite, this piece features scenes from all three segments: "Untitled Robot Parody," "How to Get Ahead in Dead-Vertising", and "It's the Grand Pumpkin, Milhouse." A limited edition of 50 hand-numbered pieces, each print includes a certificate of authenticity. Measures 25-inches tall x 17-inches wide.